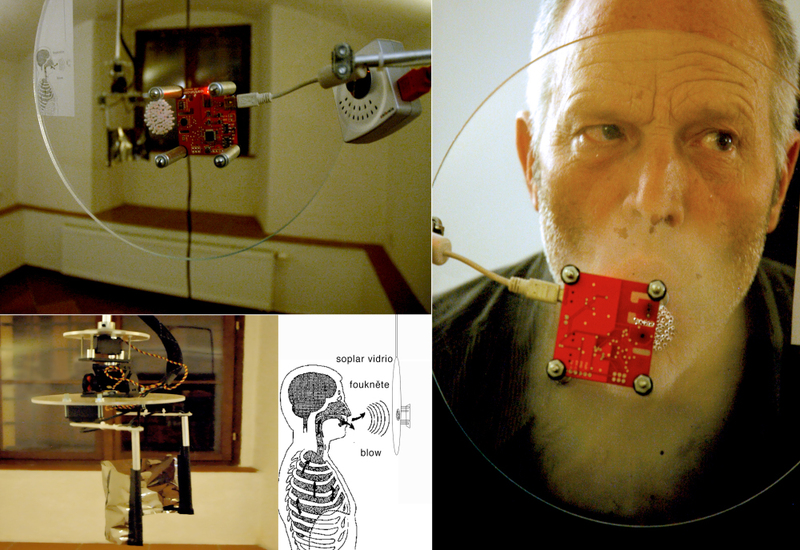 SonicSENSE uses the creative diversity of computational media and traditional visual art practices to cultivate space for sharing, questioning, and exploring interdisciplinary frameworks, methodologies, and experiences. Each exhibition of the platform is a new iteration consisting of a series of mechanical sound sculptures and interactive objects that drive data mined from the internet and biometrics gleaned from the audience. Artists, musicians, creative programmers, and scientists have been invited to write software and create new hardware components to leverage the unique qualities of this extensible platform. Engagement with the project is twofold. One is through the interactivity of live-viewer’s as a means to capture information and create feedback loops for robotics to respond to and react. This type of interactivity suggests a kind of co-dependency between the viewer and the piece, between the body and technology.